FIRST TIMERS OR DOWNSIZERS alike, make this one your own! 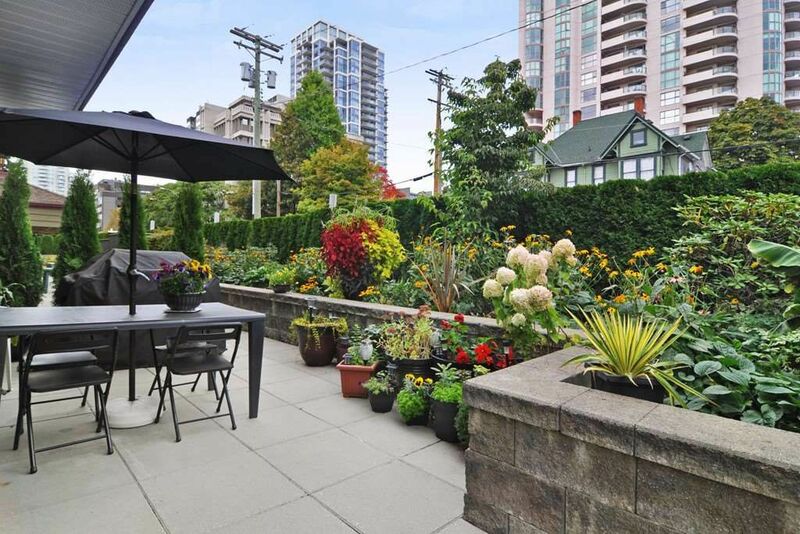 Bright 1 BDRM corner suite with extra windows facing your private terrace with full views of the gardens & trees, great for BBQ & entertaining all year round! Updated kitchen cabinets with quartz countertops. Strata fee includes, heat & hot water, 1 parking & storage locker room. 1 PET OK! "Regency Court" is located the heart of Uptown; a sought after location, walk score 95/100. Close to shopping mall, library, theatres, recreation, pools, restaurants, pubs, Moody & Queens Park. Bus and SKYTRAIN. EASY ACCESS TO all major bridges and highways. Hurry for this one!